Since our earliest days, we have relied on the generosity of our friends to enable adults with additional needs, live lives which are fulfilling and enable them to contribute to society. At Camphill Village Trust, we provide a wide range of opportunities for volunteers to experience any of our workshops, houses and even daily life, supporting adults with learning disabilities. We host regular events throughout the year from Christmas Fairs where you can buy our handmade products, to Open Days, walks and activities for all the family. 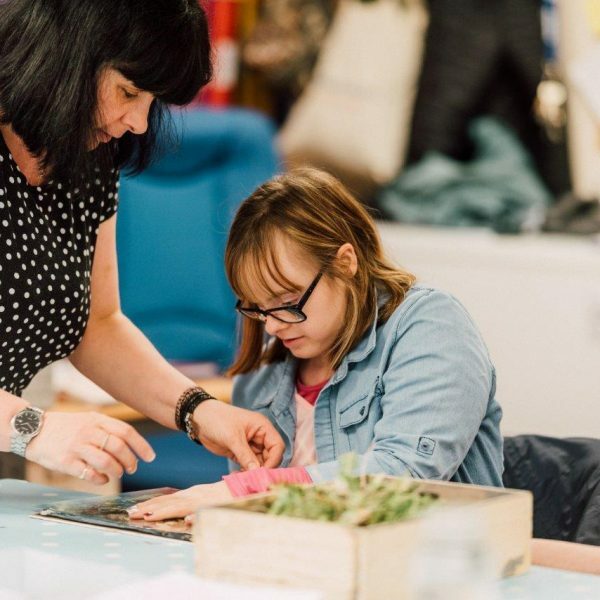 Thanks to the generosity of our supporters we empower people with learning disabilities live more independently and provide rewarding activities that bring meaning and purpose to life. Whether someone is learning to live more independently, to cook, to use a potter’s wheel, to weave beautiful scarves or make some of the finest homemade cheese in the country, it takes time. And it takes the feeling of security and acceptance that many people find, for the first time in our communities. Your contributions help us to create a way of life that includes people of all abilities. We learn new skills together, we help each other, we make new friends and we enjoy each other as equals. We organise a calendar of events throughout the year, including markets, kid's activities, open days, crafts and exhibitions. Thanks to the generosity of our supporters we empower people with learning disabilities to live more independently. We offer range of opportunities for volunteers to experience our workshops and daily life, supporting adults with learning disabilities. Your donation helps us to enable more people with learning disabilities lead more confident, happy and meaningful lives.